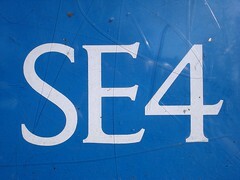 South-East London postal district covering Brockley and Crofton Park, as well as parts of Ladywell, within the London Borough of Lewisham. Last edited 2019-01-24 08:36:17 (version 9; diff). List all versions. Page last edited 2019-01-24 08:36:17 (version 9).